Craft distillers are on the rise in Georgia, creating artisan spirits with homegrown ingredients. 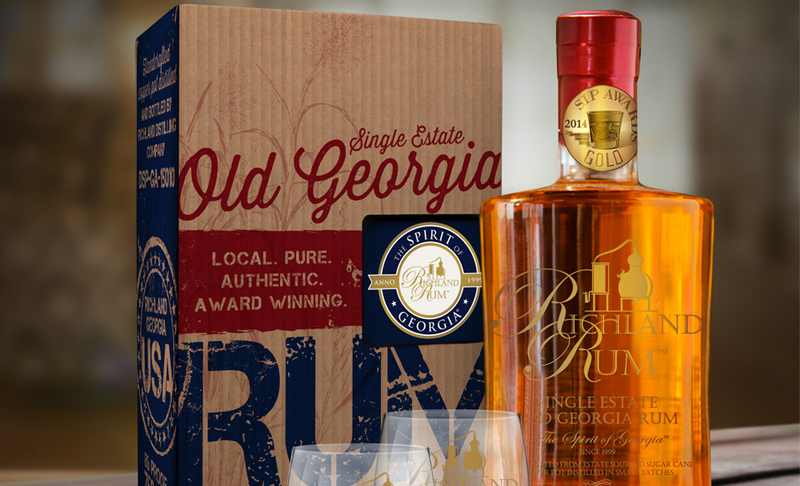 As the popularity of craft brewing continues to skyrocket throughout the nation, craft distilleries are also gaining traction—and in Georgia, Richland Rum is leading the charge. The company’s careful approach to distilling reflects the public’s appreciation for natural, locally sourced ingredients. There are no artificial flavors, colors or additives in Richland Rum’s products; its rum is crafted from water and sugar cane grown on-site. “We’re the only rum distillery in America that grows its own sugar cane,” says owner Erik Vonk. Vonk learned the value of rum from his grandfather, a connoisseur who made a hobby of exploring the libation during his travels as a merchant mariner. “I grew up in Holland and my mom’s dad traveled around the world in search of good rums,” Vonk says. It turned out that the varieties made from unrefined sugar cane held the taste and quality that Vonk’s grandfather sought. 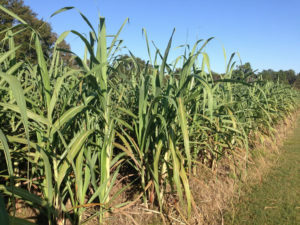 Decades later, Vonk was living in Atlanta when he discovered that the Richland area, an approximately three-hour drive south of the city, was historically used to grow sugar cane. “I had a ‘eureka’ moment,” he says. “We were within arm’s reach of starting our own rum distillery, so as soon as there was an opportunity to acquire land here, we did.” Vonk and his wife, Karin, moved to Richland in 1999 and began growing sugar cane in a small area of the farm. “The whole objective was to bring back authentic rum-making by growing our own base product, fermenting, distilling, aging, bottling and selling it,” he says. “It’s really a field-to-glass operation here.” After years of experimentation with the growing process, the Vonks obtained one of the few distillery licenses issued by the state of Georgia since Prohibition ended. Harvesting the cane involves stripping leaves, cutting stalks and crushing them to squeeze out the juice, which is evaporated and condensed to create syrup. Vonk then adds yeast and allows the mixture to ferment for five to six days. “The yeast converts the sugar into alcohol and our end product is sugar cane wine,” he says. “We send that wine to an old fashioned pot still, which separates the alcohol from the wine.” Distilling takes about 15 hours. The resulting rum is stored in American white oak barrels for three to four years. “While it’s aging in the barrels, the rum interacts with the tannins in the oak wood, giving it color and a much broader, deeper aroma and flavor profile,” Vonk says. After years of investment and hard work, Richland Rum is now available in 14 states and several countries. This spring or summer, the company will establish a location in Brunswick, Ga., ensuring that they’ll be able to keep up with growing demand. Visitors can also learn about the history of distilling in Atlanta while touring the Old 4th Distillery. “We currently have the world’s largest collection of [Atlanta] distilling antiques in our tasting room,” Moore says. Other Georgia-based craft operations include Dawsonville Moonshine Distillery, which uses family recipes from 150 years ago to create an authentic moonshine, and Thirteenth Colony, which creates small batches of whiskey, vodka and gin with locally sourced ingredients. Richland Rum is expanding to historic downtown Brunswick, Ga.
Richland Rum’s second distillery is scheduled to open in late spring or early summer 2017. Just a short drive from Sea Island, the new location in Brunswick will produce only silver rum and offer visitors a chance to see the distilling process in action, just as they can at the original Richland estate. In addition to tours of the distillery, the coastal city, settled in 1738, offers a variety of activities and sights for a half- or full-day excursion. 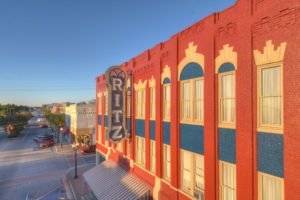 Located downtown, the historic Ritz Theatre hosts concerts and art exhibits. Art lovers can also check out Art Downtown SoGlo Gallery, which features regional and local artists, or Brunswick Stewdio, a co-op of artists, craftspeople and other creatives from the community. History buffs will enjoy a visit to the monument of James Oglethorpe, the founder of the British colony of Georgia. Historic Tours Downtown also offers walking excursions of the downtown area, covering many of the most significant properties. For those seeking a less scheduled experience, guidebooks are also available at the Old City Hall, pinpointing all of the notable historical sites.